Calculating the break even cost of oil and gas is a key skill for any oil and gas analyst. There are many methods and approaches, but which is the best? 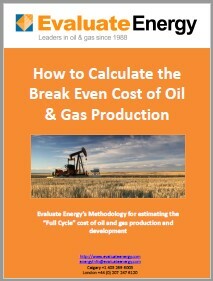 This whitepaper sets out Evaluate Energy’s methodology for estimating the break even or full-cycle costs of producing oil and gas, and why we think this is the best way to do it.